I started this pleasant December in Streeterville meeting clients. 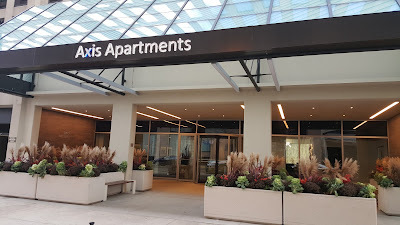 The Axis Apartments in Streeterville has one of the more elaborately decorated building entries in the area at 441 East Erie, Chicago IL 60611. Streeterville is an urban wonder of skyscrapers, hotels, restaurants, elaborate medical and university campuses and historic vintage buildings. It is hard to stand out. 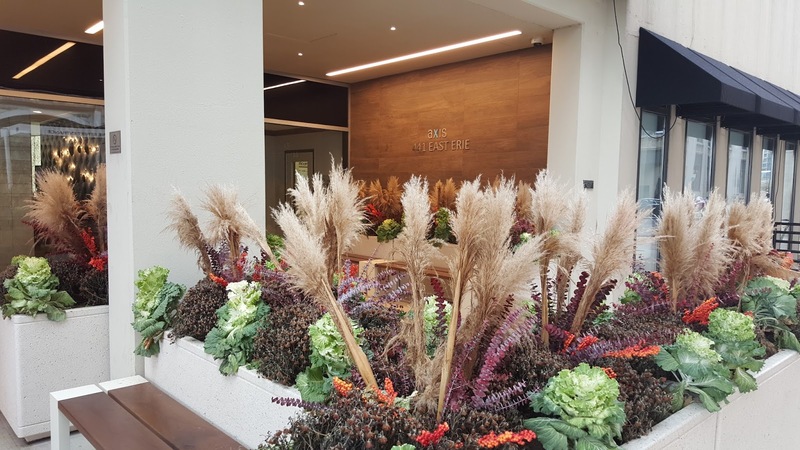 The luxury Axis entry and lobby make a nice statement for city dwellers looking to rent in this bustling location. Yo Chicago has some background on the building and notes it's "best views". 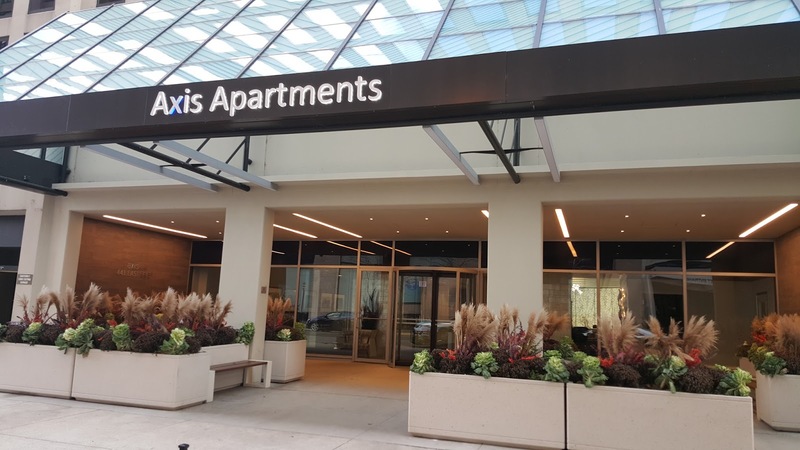 RENTS: The Axis site lists one beds available from about $2,000 a month, two beds from about $2,400 a month (most over $3,000). Studios at $1,400 and even a three bedroom listed at $4,000 are available as well on the site. Expensive, so it's time to buy for our people!